Packing for Rajasthan, India: 10 Things You Need to Take! In the weeks leading up to your time in India, it would be natural to start thinking about what you may need to pack. Specializing in tailor-made tours of Rajasthan and having explored the region extensively ourselves, here is a list of our essentials when packing for Rajasthan. The single most important item to remember when packing for Rajasthan is your passport, plus a valid visa. Your passport must have at least six months validity from the date of your arrival in India, and two blank pages. For your visa, there are two potential routes you can apply through: the first and most popular would be to apply for an e-Tourist visa online, at this official government website, within a window of 120 – 5 days before you arrive; the second, more traditional option is to post off your passport and application to the nearest consulate. Whilst Indian Excursions do not offer a visa application service, we are more than happy to answer any questions you may have about the process, as well as act as your Indian reference. For the best part of the peak season in Rajasthan (that’s from October to March), temperatures fluctuate quite noticeably throughout the day. Whilst the early morning and late evening can be somewhat breezy, or even quite chilly during December and January, the afternoons do heat up. With that in mind, when packing for Rajasthan we’d recommend clothing that can be easily layered, to be applied or removed throughout the day. For ladies, a shawl has a multitude of uses and is a great item to carry with you in your handbag. When entering places of worship, you can cover your shoulders and arms with it. If you’re out in the sun you can protect your skin with the shawl to prevent sunburn. If you feel chilly on an evening in the winter months, you can wrap up with it. It’s extremely useful. There are many beautiful shawls for sale in India, so you might like to wait and get one whilst you’re here. India is a photographer’s dream, from the colourful saris to the splendid forts and palaces. A camera is a must when packing for Rajasthan, and whilst your smartphone will probably do the job, a proper camera with a zoom feature does it better, particularly when on safari in Ranthambhore National Park. Certain monuments and places of interest do charge a fee to visitors wishing to carry a camera inside, though Indian Excursions are delighted to take care of this for our guests with our compliments. A bottle of hand sanitizer is convenient for washing your hands throughout the day and can help you avoid tummy upsets. Few public restrooms (outside of your hotel) provide a way to wash your hands thoroughly. Whilst hand sanitizer is readily available in India and provided in your Indian Excursions vehicle, we understand it can be comforting to carry a brand you’re familiar with. And, you can never have enough! Similarly, tissues are provided in our vehicles though you may wish to carry a small packet with you in your bag. Toilet paper is not always readily available outside of your hotel. Travelling through Delhi, Agra and Rajasthan does require quite a few hours spent on the road, in a train, plane, or combination of all three. Whilst there’s plenty of amazing scenery to soak up from your window, when packing for Rajasthan we’d recommend carrying a book or two, or your Kindle. One of our favourites would include the White Tiger by Man Booker prize-winner Aravind Adiga. Anything by William Dalrymple would be perfect too, as would Rudyard Kipling’s Kim. 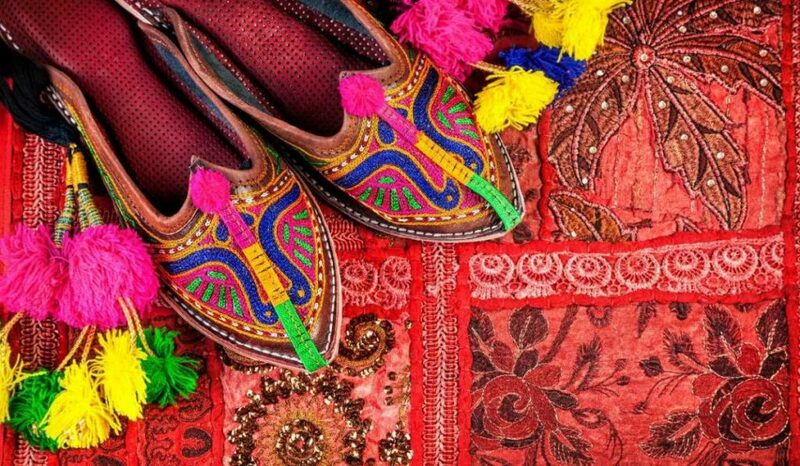 One of the most important items to consider when packing for Rajasthan is what you’ll wear on your feet. A comfortable pair of sturdy shoes is a must whilst sightseeing. Hiking boots are not necessary, but your chosen pair should be durable and comfortable to wear for long periods of time. You’ll be out and about on foot a lot whilst sightseeing and the ground is often uneven. We’d recommend carrying a pair that is easy to take off and put back on; at most places of worship, it’s culturally appropriate to remove your shoes. Probably something a bit sturdier than these traditional Rajasthani shoes though…! Sunglasses are another essential when packing for Rajasthan, as are your sun cream and sun hat. 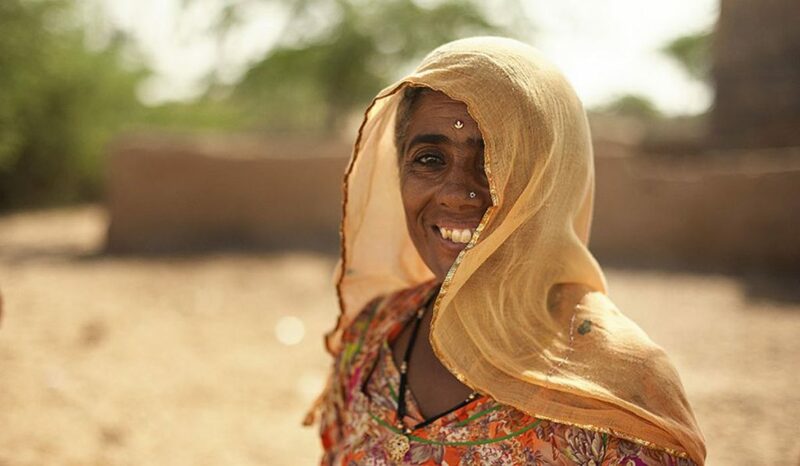 The sunny days in Rajasthan can be really very bright; to stop yourself squinting or struggling to see, a good pair of sunglasses makes all the difference. Sockets in India accept Type C, Type D and Type M plugs. There are several holes in the same socket to accommodate either of these three types. The voltage in India is 220 Volts, alternating at 50 cycles per second. If you wish to use any electronic devices from the United States or any country with 110 Volt currency, you’ll need a voltage converter as well as a and plug adapter. People coming from countries with 230 Volt currency (such as Australia, Europe, and the UK) only require a plug adapter for their appliances. It is increasingly common for hotels to include adapters in the room, though this is not guaranteed (feel free to ask us for clarification on your specific hotels). A quality insect repellent is a good idea to ward off mosquitos and avoid bites. Rajasthan is classed as a ‘Low to No Risk” area for Malaria and not high enough to warrant the use of anti-malarial tablets for the majority of travellers. Still, mosquitoes are very much out and about in the area and the bites can be itchy and sore. For ladies, whilst it is not expected for tourists to adhere to India’s conservative sense of dress, it would be culturally appropriate to avoid anything tight or revealing. Skirts, shorts or dresses are no problem provided they fall below the knee. For your upper half, it would be recommended to avoid exposing the shoulders or chest area. Bare arms are fine though very thin spaghetti straps are best avoided. You may like to consider pairing a loose tunic top with leggings, or a t-shirt with a maxi-skirt. When at your hotel, you should feel comfortable to wear anything you like, including your bathing suit. It’s only when out and about in busy marketplaces etc. that we’d recommend modest dress. For gents, there are no real cultural norms to note. However, if a Jain temple is on your itinerary (such as the one in Ranakpur, or those in Jaisalmer) it would be recommended to cover up with long trousers and a long-sleeved shirt. Leather items are not permitted in Jain temples, including belts, wallets and shoes. You may keep in mind that fancier restaurants ask men to avoid wearing shorts or open-toed shoes whilst dining. A dinner jacket is not required. If you’re considering a trip to Rajasthan, please do get in touch. As specialists in private, tailor-made tours of this region, we’d be an ideal match to assist with your arrangements. From packing suggestions to first-hand experiences of places to stay and things to do, Indian Excursions can offer you a wealth of advice and expert knowledge, ensuring you make the most of your time in India and have an unforgettable holiday.